Not to be confused with Lincoln County, Nebraska. Lincoln was founded in 1856 as the village of Lancaster and became the county seat of the newly created Lancaster County in 1859. The village was sited on the east bank of Salt Creek. The first settlers were attracted to the area due to the abundance of salt. Once J. Sterling Morton developed his salt mines in Kansas, salt in the village was no longer a viable commodity. Captain W. T. Donovan, a former steamer captain, and his family settled on Salt Creek in 1856. In the fall of 1859, the village settlers met to form a county. A caucus was formed and the committee, which included Captain Donovan, selected the village of Lancaster to be the county seat. The county was named Lancaster. After the passage of the 1862 Homestead Act, homesteaders began to inhabit the area. The first plat was dated August 6, 1864. By the close of 1868, Lancaster had a population of approximately 500 people. The township of Lancaster was renamed Lincoln with the incorporation of the city of Lincoln on April 1, 1869. In 1869, the University of Nebraska was established in Lincoln by the state with a land grant of about 130,000 acres. Construction of University Hall, the first building, began the same year. Nebraska was granted statehood on March 1, 1867. The capital of the Nebraska Territory had been Omaha since the creation of the territory in 1854; however, most of the territory's population lived south of the Platte River. After much of the territory south of the Platte River considered annexation to Kansas, the territorial legislature voted to locate the capital city south of the river and as far west as possible. Prior to the vote to remove the capital city from Omaha, a last ditch effort by Omaha Senator J. N. H. Patrick attempted to derail the move by having the future capital city named after recently assassinated President Abraham Lincoln. Many of the people south of the Platte River had been sympathetic to the Confederate cause in the recently concluded Civil War. It was assumed that senators south of the river would not vote to pass the measure if the future capital was named after the former president. In the end, the motion to name the future capital city Lincoln was ineffective in blocking the measure and the vote to change the capital's location south of the Platte River was successful with the passage of the Removal Act in 1867. The Removal Act called for the formation of a Capital Commission to locate a site for the capital on state-owned land. The Commission, composed of Governor David Butler, Secretary of State Thomas Kennard and Auditor John Gillespie, began to tour sites on July 18, 1867, for the new capital city. The village of Lancaster was chosen, in part due to the salt flats and marshes. Lancaster had approximately 30 residents. Disregarding the original plat of the village of Lancaster, Thomas Kennard platted Lincoln on a broader scale. The plat of the village of Lancaster was not dissolved nor abandoned; Lancaster became Lincoln when the Lincoln plat files were finished September 6, 1867. To raise money for the construction of a capital city, a successful auction of lots was held. Newcomers began to arrive and Lincoln's population grew. The Nebraska State Capitol was completed on December 1, 1868; a two-story building constructed with native limestone with a central cupola. The Kennard house, built in 1869, is the oldest remaining building in the original plat of Lincoln. In 1888 a new capitol building was constructed on the site of the first capitol. The new building replaced the former structurally unsound capitol. The second capitol building was a classical design, designed by architect William H. Willcox. Construction began on a third capitol building in 1922. Bertram G. Goodhue was selected in a national competition as its architect. By 1924, the first phase of construction was completed and state offices moved into the new building. In 1925, the Willcox-designed capitol building was razed. The Goodhue-designed capitol was constructed in four phases, with the completion of the fourth phase in 1932. The capitol is the second tallest capitol building in the United States. The completion of the original Goodhue design will be finally realized with the completion of the capitol fountains within the four interior courtyards of the capitol building in 2017. Government Square: U.S. Post Office and Courthouse (1879–1906), City Hall (1906–1969). The worldwide economic depression of 1890 saw the reduction of Lincoln's population from 55,000 to 37,000 by 1900. Volga-German immigrants from Russia settled in the North Bottoms neighborhood and as Lincoln expanded with the growth in population, the city began to annex towns nearby. Normal was the first town annexed in 1919. Bethany Heights, incorporated in 1890, was annexed in 1922. In 1926, the town of University Place was annexed. College View, incorporated in 1892, was annexed in 1929. Union College, a Seventh Day Adventist institution, was founded in College View in 1891. In 1930, Lincoln annexed the town of Havelock. Havelock actively opposed annexation to Lincoln and only relented due to a strike by the Burlington railroad shop workers which halted progress and growth for the city. The Burlington and Missouri River Railroad's first train arrived in Lincoln on June 26, 1870, soon to be followed by the Midland Pacific in 1871 and the Atchison and Nebraska in 1872. The Union Pacific began service in 1877. The Chicago and North Western and Missouri Pacific began service in 1886. The Chicago, Rock Island and Pacific extended service to Lincoln in 1892. Lincoln became a rail center hub. As automobile travel became more common in the U.S., the need for better roads in Nebraska and throughout the U.S. grew. The Omaha-Denver Trans-Continental Route Association in 1911, with support from the Good Roads Movement, established the Omaha-Lincoln-Denver Highway (O-L-D) through Lincoln. The goal was having the most efficient highway to travel on throughout Nebraska, from Omaha to Denver. In 1920, the Omaha-Denver Association merged with the Detroit-Lincoln-Denver Highway Association. As a result, the O-L-D was renamed the Detroit-Lincoln-Denver Highway (D-L-D) with the goal of having a continuous highway from Detroit to Denver. The goal was eventually realized by the mid-1920s; 1,700 mi (2,700 km) of constantly improved highway through six states. The auto route was a tourist magnet and traffic was heavy. Businesses were built and facilities were established in towns along the route in order to keep up with traveler demand. In 1924, the D-L-D was officially designated as Nebraska State Highway 6. In 1926, the highway became part of the Federal Highway System and was renumbered U.S. Route 38. In 1931, U.S. 38 was renumbered as a U.S. 6/U.S. 38 overlap and in 1933, the U.S. 38 route designation was dropped. In the early years of air travel, Lincoln had three airports and one airfield. Union Airport, was established northeast of Lincoln in 1920. The Lincoln Flying School was founded by E.J. Sias in a building he built at 2145 O Street. Charles Lindbergh was a student at the flying school in 1922. The flying school closed in 1947. Some remnants of the Union Airport can still be seen in-between N. 56th and N. 70th Streets, north of Fletcher Avenue; mangled within a slowly developing industrial zone. Arrow Airport was established around 1925 as a manufacturing and test facility for Arrow Aircraft and Motors Corporation, primarily the Arrow Sport. The airfield was located near Havelock; or to the west of where the North 48th Street Small Vehicle Transfer Station is located today. Arrow Aircraft and Motors declared bankruptcy in 1939 and Arrow Airport closed roughly several decades later. An existing Arrow Sport can be seen on permanent display, hanging in the Lincoln Airport's main passenger terminal. The city's small municipal airfield in 1930 was dedicated to Charles Lindbergh and named Lindbergh Field for a short period of time as another airfield was named Lindbergh in California. The airfield was north of Salt Lake, in an area known variously over the years as Huskerville, Arnold Heights and Air Park; and was located approximately within the western half of the West Lincoln Township. The air field was a stop for United Airlines in 1927 and a mail stop in 1928. As train, automobile, and air travel increased, business flourished, and the city prospered. The population of Lincoln increased 38.2% from 1920 to a population of 75,933 in 1930. In 1942 the Lincoln Army Airfield was established at the site. During World War II, over 25,000 aviation mechanics were trained with over 40,000 troopers being processed for combat. The Army closed the base in 1945. The Air Force reactivated the base during the Korean War in 1952. In 1966, the base was closed and Lincoln annexed the airfield, including the base's old housing units to the west. The base became the Lincoln Municipal Airport under ownership of the Lincoln Airport Authority. The airport was later renamed the Lincoln Airport. The two main airlines serving the airport were United Airlines and Frontier Airlines. The authority shared facilities with the Nebraska National Guard, who continued ownership over some portions of the old Air Force base. In 1966, Lincoln annexed the township of West Lincoln, incorporated in 1887. West Lincoln voters rejected annexation by Lincoln until the state legislature passed a bill in 1965 allowing cities to annex surrounding areas without a vote. The downtown core retail district from 1959 to 1984 saw profound changes as retail shopping moved from downtown to the suburban Gateway Shopping Mall. In 1956, Bankers Life Insurance Company of Nebraska announced plans to build a $6 million shopping center next to their new campus on the east-side outskirts of Lincoln. Gateway Shopping Center, now called Gateway Mall, was completed and open for business at 60th and O streets in 1960. By 1984, 75% of Lincoln's revenue from retail sales tax came from within a one-mile radius of the Mall. With the exodus of retail and service businesses, the downtown core began to decline and deteriorate. The Nebraska legislature in 1969 legislated laws for urban renewal and shortly thereafter Lincoln began a program of revitalization and beautification of the city. Most of the urban renewal projects focused on downtown and the near South areas. Many ideas were considered and not implemented. Successes included Sheldon Memorial Art Gallery, designed by Philip Johnson; new branch libraries, new street lighting, the First National Bank Building and the National Bank of Commerce Building designed by I.M. Pei. In 1971, an expansion of Gateway Mall was completed. Lincoln's first woman mayor, Helen Boosalis, was elected in 1975. Mayor Boosalis was a strong supporter of the revitalization of Lincoln with the downtown beautification project being completed in 1978. In 1979, the square-block downtown Centrum was opened and connected to buildings with a skywalk. The Centrum was a two-level shopping mall with a garage for 1,038 cars. With the beautification and urban renewal projects, many historic buildings were razed in the city. In 2007 and 2009, the city of Lincoln received beautification grants for improvements on O and West O Streets, west of the Harris Overpass, commemorating the history of the D-L-D.
Vietnamese refugees, from the fall of Saigon in 1975, established a significant ethnic community with businesses along the 27th Street corridor alongside Mexican eateries and African markets. Lincoln was designated as a "Refugee Friendly" city by the U.S. Department of State in the 1970s. In 2000, Lincoln was the twelfth-largest resettlement site per capita in the country. As of 2011, Lincoln had the largest Karen (Burmese ethnic minority) population in the United States, behind Omaha. As of the same year, Nebraska was one of the largest resettlement sites for the people of Sudan, mostly in Lincoln and Omaha. In 2014, some social service organizations estimated that up to 10,000 Iraqi refugees had resettled in Lincoln. In recent years, Lincoln had the largest Yazidi (Iraqi ethnic minority) population in the U.S., with over 2,000–3,000 having settled within the city (as of late 2017). In a three-year period, the immigrant and refugee student population at Lincoln Public Schools increased 52% - from 1,606 students in 2014, to 2,445 in 2017. The decade from 1990 to 2000 saw a significant rise in population from 191,972 to 225,581. North 27th Street and Cornhusker Highway were redeveloped with new housing and businesses built. The boom housing market in south Lincoln created new housing developments including high end housing in areas like Cripple Creek, Willamsburg and The Ridge. The shopping center Southpointe Pavilions was completed in competition of Gateway Mall. In 2001, Gateway Mall was purchased by Westfield America Trust. Westfield renamed the mall Westfield Shoppingtown Gateway; then in 2005, Westfield Gateway. Westfield made a $45 million makeover of the mall in 2005 including an expanded food court, a new west-side entrance and installation of an Italian carousel. In 2012, Westfield America Trust sold Westfield Gateway to Starwood Capital Group. Starwood reverted the mall's name from Westfield Gateway to Gateway Mall and has made incremental expansions and renovations. In 2015, ALLO Communications announced that it would bring ultra-high speed fiber internet to the city. Speeds up to 1 Gigabit per second were available for both business and household by building off of the city's existing fiber network. Construction on the citywide network began in March 2016 and was estimated to be complete by 2019, making it one of the largest infrastructure projects in the United States. Telephone and cable TV service were also included, making it the third company to compete for such services within the same Lincoln footprint. In April 2016, Windstream Communications announced that 2,300 customers in Lincoln had 1 Gigabit per second fiber internet with an expected expansion of services to 25,000 customers by 2017. On November 29, 2017, Lincoln was named a Smart Gigabit Community by U.S. Ignite Inc. and in early 2018, Spectrum joined the ranks of internet service providers providing 1 gigabit internet within the city. View from the International Space Station (ISS, 2007); photo centered on northeast Lincoln. Lincoln has a total area of 94.267 square miles (244.150 km2), of which 92.913 square miles (240.644 km2) of it is land and 1.354 square miles (3.507 km2) is water, according to the United States Census Bureau in 2017. Lincoln is one of the few large cities of Nebraska not located along either the Platte River or the Missouri River. The city was originally laid out near Salt Creek and among the nearly flat saline wetlands of northern Lancaster County. The city's growth over the years has led to development of the surrounding land, much of which is composed of gently rolling hills. In recent years, Lincoln's northward growth has encroached on the habitat of the endangered Salt Creek tiger beetle. Lincoln is in two metropolitan statistical areas as defined by the United States Census Bureau. The Lincoln Metropolitan Statistical Area consists of Lancaster County and Seward County. Seward County was added to the metropolitan area in 2003. Lincoln is also in the Lincoln-Beatrice Combined Statistical Area which consists of the Lincoln metropolitan area and the micropolitan area of Beatrice. The city of Beatrice is the county seat of Gage County. The Lincoln-Beatrice combined statistical area is home to 353,120 people (2017 estimated) making it the 106th-largest combined statistical area in the United States. View of south Lincoln from the top of the Nebraska State Capitol (2012). Lincoln's neighborhoods include both old and new development. Some neighborhoods in Lincoln were formerly small towns that Lincoln later annexed, including University Place in 1926, Belmont, Bethany (Bethany Heights) in 1922, College View in 1929, Havelock in 1930, and West Lincoln in 1966. A number of Historic Districts are located near downtown Lincoln, while newer neighborhoods have appeared primarily in the south and east. As of December 2013, Lincoln had 45 registered neighborhood associations within the city limits. One core neighborhood that has seen rapid residential growth in recent years is the downtown Lincoln area. In 2010, there were 1,200 downtown Lincoln residents; in 2016, there were 3,000 (an increase of 140%). Around the middle of the same decade, demand for housing and rent units began outpacing supply. With Lincoln's population expected to grow to more than 311,000 people by 2020, prices for homes and rent costs have risen. Home prices rose 10% from the first quarter of 2015 to the first quarter of 2016; rent prices rose 30% from 2007 to 2017 with a 5–8% increase in 2016 alone. Located on the Great Plains far from the moderating influence of mountains or large bodies of water, Lincoln possesses a highly variable four-season humid continental climate (Köppen Dfa): winters are cold but relatively dry, summers are hot and occasionally humid. With little precipitation falling during winter, precipitation is concentrated in the warmer months, when thunderstorms frequently roll in, often producing tornadoes. Snow averages 25.9 inches (66 cm) per season but seasonal accumulation has ranged from 7.2 in (18 cm) in 1967–68 to 54.3 in (138 cm) in 1959–60. Snow tends to fall in light amounts, though blizzards are possible. There is an average of 39 days with a snow depth of 1 in (2.5 cm) or more. The average window for freezing temperatures is October 5 thru April 25, allowing a growing season of 162 days. The monthly daily average temperature ranges from 24.6 °F (−4.1 °C) in January to 77.6 °F (25.3 °C) in July. However, the city is subject both to episodes of bitter cold in winter and heat waves during summer, with 11.4 nights of sub-0 °F (−18 °C) lows, 41 days of 90 °F (32 °C)+ highs, and 4.6 days of 100 °F (38 °C)+ highs. The city straddles the boundary of USDA Plant Hardiness Zones 5b and 6a. Temperature extremes have ranged from −33 °F (−36 °C) on January 12, 1974 up to 115 °F (46 °C) on July 25, 1936. Readings as high as 105 °F (41 °C) or as low as −20 °F (−29 °C) occur somewhat rarely; the last occurrence of each was July 22, 2012 and February 3, 1996. Based on 30-year averages obtained from NOAA's National Climatic Data Center for the months of December, January and February, Weather Channel ranked Lincoln the seventh-coldest major U.S. city as of 2014 In 2014, the Lincoln-Beatrice area was among the "Cleanest U.S. Cities for Ozone Air Pollution" in the American Lung Association's "State of the Air 2014" report. Lincoln is the second-most-populous city in Nebraska. The U.S. Government designated Lincoln in the 1970s as a refugee-friendly city due to its stable economy, educational institutions, and size. Since then, refugees from Vietnam settled in Lincoln, and further waves came from other countries. In 2013, Lincoln was named one of the "Top Ten most Welcoming Cities in America" by Welcoming America. As of the census of 2010, there were 258,379 people, 103,546 households, and 60,300 families residing in the city. The population density was 2,899.6 inhabitants per square mile (1,119.5/km2). There were 110,546 housing units at an average density of 1,240.6 per square mile (479.0/km2). The racial makeup of the city was 86.0% White, 3.8% African American, 0.8% Native American, 3.8% Asian, 0.1% Pacific Islander, 2.5% from other races, and 3.0% from two or more races. Hispanic or Latino of any race were 6.3% of the population. There were 103,546 households of which 27.7% had children under the age of 18 living with them, 44.0% were married couples living together, 10.2% had a female householder with no husband present, 4.1% had a male householder with no wife present, and 41.8% were non-families. 31.3% of all households were made up of individuals and 8.8% had someone living alone who was 65 years of age or older. The average household size was 2.36 and the average family size was 3.01. The median age in the city was 31.8 years. 22.7% of residents were under the age of 18; 15.7% were between the ages of 18 and 24; 27.9% were from 25 to 44; 22.9% were from 45 to 64; and 10.7% were 65 years of age or older. The gender makeup of the city was 50.0% male and 50.0% female. Lincoln's economy is fairly typical of a mid-sized American city; most economic activity is derived from the service and manufacturing industries. Government and the University of Nebraska are both large contributors to the local economy. Other prominent industries in Lincoln include finance, insurance, publishing, manufacturing, pharmaceutical, telecommunications, railroads, high technology, information technology, medical, education and truck transport. For March 2018, the Lincoln Metropolitan Statistical Area (MSA) preliminary unemployment rate was 2.6% (not seasonally adjusted). With a tight labor market, Lincoln has seen rapid wage growth. From the summer of 2014 to the summer of 2015, the average hourly pay for both public and private employees have increased by 11%. From October 2014 to October 2015, wages were also up by 8.4%. One of the largest employers is Bryan Health, which consists of two major hospitals and several large outpatient facilities located across the city. Healthcare and medical jobs account for a substantial portion of Lincoln's employment: as of 2009, full-time healthcare employees in the city included 9,010 healthcare practitioners in technical occupations, 4,610 workers in healthcare support positions, 780 licensed and vocational nurses, and 150 medical and clinical laboratory technicians. Several national business were originally established in Lincoln; these include student lender Nelnet, Ameritas, Assurity, Fort Western Stores, CliffsNotes and HobbyTown USA. Several regional restaurant chains began in Lincoln, including Amigos/Kings Classic, Runza Restaurants, and Valentino's. The Lincoln area makes up a part of what is known as the greater Midwest Silicon Prairie. The city is also a part of a rapidly growing craft brewing industry. In 2013, Lincoln ranked No. 4 on Forbes' list of the Best Places for Business and Careers, No. 1 on "NerdWallet's Best Cities for Job Seekers in 2015 and No. 2 on SmartAsset's Cities with the Best Work-life Balance in 2019. The Nebraska Air and Army National Guard's Joint Force Headquarters are located in Lincoln along with other major units of the Nebraska National Guard. During the early years of the Cold War, the Lincoln Airport was the Lincoln Air Force Base; currently, the Nebraska Air National Guard, along with the Nebraska Army National Guard, have joint-use facilities with the Lincoln Airport. Since the opening of Pinnacle Bank Arena in 2013, Lincoln's emerging music scene has grown to the point where it is sometimes referred to as a "Music City." Primary venues for live music include: Pinnacle Bank Arena, Bourbon Theatre, Duffy's Tavern, and the Zoo Bar. The Pla-Mor Ballroom is a classic Lincoln music and dance scene with its in-house Sandy Creek Band. Pinewood Bowl hosts a range of performances – from national music performances to local plays during the warm weather months. The Lied Center is a venue for national tours of Broadway productions, concert music, guest lectures, and regularly features its resident orchestra Lincoln's Symphony Orchestra. Lincoln has several performing arts venues. Plays are staged by UNL students in the Temple Building; community theater productions are held at the Lincoln Community Playhouse, the Loft at The Mill, and the Haymarket Theater. Lincoln has a growing number of arts galleries, some of which include the Sheldon Museum of Art, Burkholder Project and Noyes Art Gallery. Lincoln also has the Arts & Humanities Focus Program, a program dedicated to the Arts & Humanities. For movie viewing, Marcus Theatres owns 32 screens at four locations, and the University of Nebraska's Mary Riepma Ross Media Arts Center shows independent and foreign films. Standalone cinemas in Lincoln include the Joyo Theater and Rococo Theater. The Rococo Theater also hosts benefits and other engagements. The downtown section of O Street is Lincoln's primary bar and nightclub district. Lincoln is the hometown of Zager and Evans, known for their international No. 1 hit record, "In the Year 2525" (1969). It is also the home town of several notable musical groups, such as Remedy Drive, VOTA, For Against, Lullaby for the Working Class, Matthew Sweet, Dirtfedd, The Show is the Rainbow and Straight. Lincoln is home to Maroon 5 guitarist James Valentine. In 2012, the city was listed among the 10 best places to retire in the United States by U.S. News & World Report. Annual events in Lincoln have come and gone throughout time, such as Band Day at the University of Nebraska's Lincoln campus  and the Star City Holiday Parade. However, some events have never changed while new traditions have been created. Current annual cultural events in Lincoln include the Lincoln National Guard Marathon and Half-Marathon in May, Celebrate Lincoln in early June, the Uncle Sam Jam around July 3, and Boo at the Zoo in October. A locally popular event is the Haymarket Farmers' Market, running from May to October in the Historic Haymarket, one of several farmers markets throughout the city. Tourist attractions and activities include the Sunken Gardens, basketball games at Pinnacle Bank Arena, the Lincoln Children's Zoo, the dairy store at UNL's East Campus, and Mueller Planetarium on the city campus. The Nebraska State Capitol, which is also the tallest building in Lincoln, offers tours. The Frank H. Woods Telephone Museum exhibits historical telephone technology. The Speedway Motors Museum of American Speed preserves, interprets, and displays physical items significant in racing and automotive history. In late 2016, Lincoln was ranked #3 on Lonely Planet's "Best in the U.S.," destinations to see in 2017 list. Lincoln is home to the University of Nebraska's football team, the Nebraska Cornhuskers. In total, the university fields 22 men's and women's teams in 14 NCAA Division I sports. Nebraska football began play in 1890. Among the 128 Division I-A teams, Nebraska is one of ten football programs to win 800 or more games. Notable coaches were Tom Osborne, and Bob Devaney. Osborne coached from 1973–1997. Devaney coached from 1962–1972 and the university's indoor arena, the Bob Devaney Sports Center, was named for him. Other sports teams are the Nebraska Wesleyan Prairie Wolves, a GPAC and NCAA Division III independent University; the Lincoln Saltdogs, an American Association independent minor league baseball team; the Lincoln Stars, a USHL junior ice hockey team; No Coast Derby Girls, a member of the Women's Flat Track Derby Association; and the Nebraska Bugeaters FC, a United Premier Soccer League semi-professional team. MoPac Trail East, Novartis Trailhead entrance. Lincoln has an extensive park system, with over 131 individual parks. The parks are connected by a 248 mi (399 km) system of recreational trails, a 2.3 mi (3.7 km) system of bike lanes and a 1.3 mi (2.1 km) system of cycle tracks. The MoPac Trail is a bicycling, equestrian and walking trail. The trail was built on an abandoned Missouri Pacific Railroad corridor which runs for 27 miles (43 km) from the University of Nebraska's Lincoln campus eastward to Wabash, Nebraska. Regional parks include Antelope Park from S. 23rd and "N" Streets to S. 33rd Street and Sheridan Boulevard, Bicentennial Cascade Fountain, Hamann Rose Garden, Lincoln Children's Zoo, Veterans Memorial Garden, and Holmes Park at S. 70th Street and Normal Boulevard. Pioneers Park includes the Pioneers Park Nature Center at S. Coddington Avenue and W. Calvert Streets. Community parks include Ballard Park, Bethany Park, Bowling Lake Park, Densmore Park, Erwin Peterson Park, Fleming Fields, Irvingdale Park, Mahoney Park, Max E. Roper Park, Oak Lake Park, Peter Pan Park, Pine Lake Park, Sawyer Snell Park, Seacrest Park, Tierra Briarhurst, University Place Park and Woods Park. Other notable parks include Iron Horse Park, Lincoln Community Foundation Tower Square, Nine Mile Prairie owned by the University of Nebraska Foundation, Sunken Gardens, Union Plaza, and Wilderness Park. Smaller neighborhood parks are scattered throughout the city. Additionally, there are five public recreation centers, nine outdoor public pools and five public golf courses not including private facilities in Lincoln. Lincoln has a mayor-council government. The mayor and a seven-member city council are selected in nonpartisan elections. Four members are elected from city council districts; the remaining three members are elected at-large. Lincoln's health, personnel, and planning departments are joint city/county agencies; most city and Lancaster County offices are located in the County/City Building. Since Lincoln is the state capital, many Nebraska state and United States Government offices are located in Lincoln. The city lies within the Lincoln Public Schools school district; the primary law enforcement agency for the city is the Lincoln Police Department. The Lincoln Fire and Rescue Department shoulders the city's fire fighting and emergency ambulatory services while private companies provide non-emergency medical transport and outlying areas of the city are supported by volunteer fire fighting units. The city's public library system is Lincoln City Libraries, which has seven branches. Lincoln City Libraries circulates more than three million items per year to the residents of Lincoln and Lancaster County. Lincoln City Libraries is also home to Polley Music Library and the Jane Pope Geske Heritage Room of Nebraska authors. Lincoln Public Schools (LPS) is the sole public school district in the city. There are six traditional high schools in the district: Lincoln High, East, Northeast, North Star, Southeast, and Southwest. Additionally, LPS is home to special interest high school programs, including the Arts and Humanities Focus Program, the Bryan Community School, The Career Academy and the Science Focus Program (Zoo School). Other programs include the Pathfinder Education Program, the Yankee Hill Program and the Lincoln Air Force JROTC. There are several private parochial elementary and middle schools located throughout the community. These schools, like Lincoln Public Schools, are broken into districts, but most will allow attendance outside of boundary lines. Private high schools located in Lincoln are College View Academy, Lincoln Christian, Lincoln Lutheran, Parkview Christian School and Pius X High School. At Lincoln Public Schools, during the 2017–18 school year, the English Language Learners (ELL) program had 3,094 students from approximately 100 countries, who spoke approximately 50 different languages. Some of the most common first-languages spoken within the program are Arabic, Chinese, French, Karen, Kurdish, Nuer, Russian, Spanish, Ukrainian and Vietnamese. The top two first-language groups, as of 2017–18 school year, are Arabic and Kurdish speakers (39.4%), and Spanish speakers (25.4%). From the 2010–11 to the 2017–18 school years, LPS saw Arabic and Kurdish ELL students increase by over 217%, from 321 Arabic and 63 Kurdish speaking students to 669 Arabic and 551 Kurdish speaking students. The continually increasing influx of refugees and immigrants to Lincoln over recent years, which has included refugees/immigrants from Iraq, Mexico, Burma and refugee camps in Thailand, has caused LPS to hire additional ELL teachers at an increasingly rapid pace. Music literacy in Lincoln begins early with Lincoln Public School music programs that provides children with the opportunity to begin strings in 4th grade and band in the 5th grade. Collaboration between the University of Nebraska at Lincoln and LPS provides children in the 3rd grade with weekly instruction in classical strings. These programs and others are supported by a variety of music retail stores within the city. Nine colleges and universities are located within the Lincoln boundaries. The University of Nebraska–Lincoln, the main campus of the University of Nebraska system, is the largest university in Nebraska, having 20,954 undergraduate, 4,606 postgraduate students and 519 professionals enrolled in 2017. Out of the 26,079 enrolled, 2,214 undergraduate and 1,142 postgraduate students/professionals were international. With 135 countries represented, five countries with the highest international enrollment were China, Malaysia, India, Oman and Vietnam. Nebraska Wesleyan University, as of 2013, has 1,927 undergraduate and 222 postgraduate students. The school teaches in the tradition of a liberal arts college education. Nebraska Wesleyan was ranked the #1 liberal arts college in Nebraska by U.S. News and World Report in 2002. In 2009, Forbes ranked it 84th of America's Best Colleges. It remains affiliated with the United Methodist Church. Union College is a private Seventh-day Adventist four-year coeducational college with 911 students enrolled 2013–14. Bryan College of Health Sciences offers undergraduate degrees in nursing and other health professions; a Masters in Nursing; a Doctoral degree in nurse anesthesia practice, as well as certificate programs for ancillary health professions. Universities with satellite locations in Lincoln are Bellevue University, Concordia University (Nebraska), Doane University and Purdue University Global. Lincoln also hosts the College of Hair Design and Joseph's College of Cosmetology. Southeast Community College is a community college system located in southeastern Nebraska, with three campuses in Lincoln and an enrollment of 9,751 students as of fall 2013. The two-year Academic Transfer program is popular among students wanting to get their general education requirements completed before moving to a four-year institution as a Junior. The University of Nebraska-Lincoln is the most popular transfer location. The headquarters of Nebraska Educational Telecommunications (NET), which is affiliated with the Public Broadcasting Service and National Public Radio, are in Lincoln. Lincoln is one of the few cities without its own NBC affiliate; Omaha's WOWT historically served as the city's default NBC affiliate until 2014 when Hastings' affiliate KHAS-TV moved to KSNB-TV, making both available on cable (KSNB primarily serves central Nebraska). The city has two low power digital TV stations in Lincoln area included the translator KFDY-LD (simulcast of (KOHA-LD)) owned by Flood Communications of Nebraska LLC, including for main Spanish-language network affiliate Telemundo on 27.1, NCN (Ind.) on 27.2, and religious network affiliate 3ABN on 27.3 in Lincoln area only, on virtual channel 27, digital channel 27; and another low power digital KCWH-LD on CW+ affiliate, owned by Gray on channel 18.1 included subchannels like Ion on 18.2, and CBS (Simulcast of KOLN) on 18.3. There are 17 radio stations licensed in Lincoln, not including radio stations licensed outside of the city that serve the Lincoln area. Most areas of Lincoln also receive radio signals from Omaha and other surrounding communities. The Lincoln Journal Star is the city's major daily newspaper. The Daily Nebraskan is the official monthly magazine of the University of Nebraska's Lincoln campus and The DailyER is the university's biweekly satirical paper. Other university newspapers include the Reveille, the official periodical campus paper of Nebraska Wesleyan University and the Clocktower, the official weekly campus paper of Union College. Nebraska Highway 2 is a primary trucking route that connects Kansas City (Interstate 29) to the I-80 corridor in Lincoln. A few additional minor State Highway segments reside within the city as well. A public bus transit system, StarTran, operates in Lincoln. StarTran's fleet consists of 67 full-sized buses and 13 Handi-Vans. The transit system has 18 bus routes, with a circular bus route downtown. Annual ridership for the fiscal year 2017–18 was 2,463,799. The Lincoln Airport (KLNK/LNK) provides passengers with daily non-stop service to United Airlines hubs Chicago O'Hare International Airport and Denver International Airport as well as Delta Air Lines hubs Minneapolis-Saint Paul International Airport and Hartsfield–Jackson Atlanta International Airport. General aviation support is provided through several private aviation companies. The Lincoln Airport was among the emergency landing sites for the NASA Space Shuttle. The site was chosen chiefly because of a 12,901 feet (3,932 m) runway; the longest of three at the airport. Lincoln is served by Black Hills Stage Lines for regional bus service between Omaha, Denver and points beyond. Megabus, in partnership with Windstar Lines, provides bus service between Lincoln and Chicago with stops in Omaha, Des Moines, Iowa City and Moline. Amtrak provides service to Lincoln, operating its California Zephyr daily in each direction between Chicago and Emeryville, California, using BNSF's Lincoln – Denver route through Nebraska. The city is an Amtrak crew-change point. Rail freight travels coast-to-coast, to and through Lincoln via BNSF Railway, the Union Pacific Railroad, Lincoln's own Omaha, Lincoln and Beatrice Railway Company and an Omaha Public Power District rail spur. Lincoln was once served by the Chicago, Rock Island and Pacific Railroad (Rock Island), the Missouri Pacific Railroad (MoPac) and the Chicago and North Western Transportation Company (C&NW). The abandoned right-of-way of these former railroads have since been turned into bicycle trails. Lincoln began a third-generation dock based bike share program in mid-April 2018, called BikeLNK. The first phase of the program includes 19 docks and 100 bicycles, scattered throughout the downtown area and around the UNL City, UNL East & Nebraska Innovation campuses. In 2016, 80.5 percent of working Lincoln residents commuted by driving alone, 9.6 percent carpooled, 1.1 percent used public transportation, and 3.1 percent walked. About 2.4 percent used all other forms of transportation, including taxis, bicycles, and motorcycles as well as ride-sharing services such as Lyft and Uber which entered the Lincoln market in the summer of 2014. About 3.3 percent worked at home. In 2015, 6.3 percent of city of Lincoln households were without a car, which decreased slightly to 5.8 percent in 2016. The national average was 8.7 percent in 2016. Lincoln averaged 1.78 cars per household in 2016, compared to a national average of 1.8 per household. Power in Lincoln is provided by the Lincoln Electric System (LES). The LES service area covers 200 square miles (520 km2), serving Lincoln and several other communities outside of the city. A public utility, LES's electric rates are the 16th lowest in the nation, according to a nationwide survey conducted by LES in 2017. Current LES power supply resources are 34% coal, 33% oil and gas and 33% renewable. Renewable resources have increased with partial help from the addition of an LES-owned five Megawatt solar energy farm put into service June, 2016. The solar farm produces enough energy to power 900 homes. LES also owns two wind turbines in the northeast part of the city. Water in Lincoln is provided through the Lincoln Water System. In the 1920s, the city of Lincoln undertook the task of building the Lincoln Municipal Lighting and Warterworks Plant (designed by Fiske & Meginnis). The building worked as the main hub for water from nearby wells and power in Lincoln for decades until it was replaced and turned into an apartment building. Most of Lincoln's water originates from wells along the Platte River near Ashland, Nebraska. Wastewater is in turn collected by the Lincoln Wastewater System. Both systems are owned by the city of Lincoln. Natural gas is provided by Black Hills Energy. Landline telephone service has had a storied history within the Lincoln area. The Lincoln Telephone & Telegraph Company, founded in 1880, merged with Aliant Communications and shortly thereafter merged in 1998 with Alltel. In 2006, Windstream Communications was formed with the spinoff of Alltel and a merge with VALOR Communications Group. Windstream Communications provides telephone service both over VoIP and conventional telephone circuits to the Lincoln area. Spectrum offers telephone service over VoIP on their cable network. In addition, expected to be completed by 2019, ALLO Communications will provide telephone, television and internet service over their future fiber network to all parts of the city. Lincoln has three major hospitals within two health care systems serving the city: Bryan Health and CHI Health St. Elizabeth. Madonna Rehabilitation Hospital is a geriatric facility and a physical medicine & rehabilitation center. Lincoln has two specialty hospitals: Lincoln Surgical Hospital and the Nebraska Heart Institute. A U.S. Department of Veterans Affairs Community-Based Outpatient Clinic (CBOC) is located in Lincoln (Lincoln VA Clinic, part of the Nebraska-Western Iowa Health Care System). Urgent care clinics are located throughout the city. ^ Official records for Lincoln kept at University of Nebraska–Lincoln (Weather Bureau) from January 1887 to December 1947, Lincoln Municipal Airport from January 1948 to June 1954, Lincoln University (campus) from July 1954 to August 1955, the Weather Bureau in downtown from September 1955 to August 1972, and at Lincoln Municipal Airport since September 1972. ^ Only 20 to 22 years of data were used to calculate relative humidity normals. ^ "Campus Guide: Lincoln lexicon". Lincoln Journal Star. Lincoln, NE. August 22, 2011. Retrieved August 18, 2016. ^ a b "State-Based Places Gazetteer Files – Nebraska". 2017 U.S. Gazetteer Files. United States Census Bureau, U.S. Department of Commerce. Retrieved May 25, 2018. 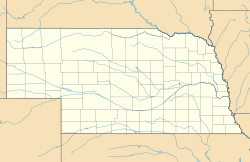 ^ "State-Based Counties Gazetteer Files – Nebraska". 2017 U.S. Gazetteer Files. United States Census Bureau, U.S. Department of Commerce. Retrieved May 25, 2018. ^ a b "Profile of General Population and Housing Characteristics: 2010–2010 Demographic Profile Data". American FactFinder. United States Census Bureau, 2010 Census. Retrieved October 18, 2015. ^ "Feature Detail Report for: Lincoln". USGS Geographic Information System (GNIS). United States Geological Survey, United States Department of the Interior. March 9, 1979. Retrieved October 17, 2015. ^ a b "Annual Estimates of the Resident Population: April 1, 2010 to July 1, 2017 - United States -- Combined Statistical Area; and for Puerto Rico". American FactFinder. United States Census Bureau, Population Division; U.S. Department of Commerce. March 2018. Retrieved May 25, 2018. ^ a b "1889 History of Lincoln Nebraska – Chapter 11". Memorial Library. CFC Productions. Retrieved October 18, 2015. ^ "Counties and County Seats by License Place Prefix Numbers". Nebraska Databook. Nebraska Department of Economic Development. June 8, 2010. Retrieved October 18, 2015. ^ Lincoln Bar Association (May 1, 1970). "County-City Building, Lincoln, Lancaster County, Nebraska". Nebraska State Historical Society. Retrieved October 18, 2015. ^ a b c d e "Lincoln — Lancaster County". Virtual Nebraska. University of Nebraska-Lincoln. Retrieved October 18, 2015. ^ "1889 History of Lincoln Nebraska – Chapter 12". Memorial Library. CFC Productions. Retrieved October 18, 2015. ^ Hays & Cox, p. 234. ^ Hays & Cox, p. 29. ^ "More about Nebraska statehood, the location of the capital, and the story of the commissioner's home". Nebraska State Historical Society. March 20, 2000. Retrieved October 19, 2015. ^ "Lincoln's Founding". Nebraska State Historical Society. January 11, 2006. Retrieved October 18, 2015. ^ "Lincoln: History". City-Data.com. Advameg, Inc. Retrieved October 19, 2015. ^ Hays & Cox, p. 349. ^ "More About Nebraska Statehood". Nebraska State Historical Society. Retrieved August 17, 2016. ^ "History of Nebraska's Capitols". Nebraska State Capitol. Nebraska Capitol Commission. Retrieved October 19, 2015. ^ a b Walton, Don (February 10, 2015). "Capitol may need earthquake evaluation". Lincoln Journal Star. Lincoln, NE. Retrieved October 16, 2015. ^ Hill, Kori (November 4, 2015). "Assassinations, fires, and domes: 50 facts about 50 state capitol buildings". Travel. USA Today (Experience America ed.). Fairfax County, VA: Gannett Company. Retrieved May 30, 2016. ^ McKee, Jim (December 30, 2017). "Jim McKee: Traversing Lincoln via interurban railroads". Lincoln Journal Star. Lincoln, NE. Retrieved December 31, 2017. ^ Zimmer, PhD., Edward. "Lincoln – Lancaster County". Virtual Nebraska – Nebraska ... Our Towns. University of Nebraska-Lincoln. Retrieved March 16, 2016. ^ Ashland Historical Society; Huebinger, M. (October 12, 2013). "Huebinger's Map & Guide for Omaha-Denver Transcontinental Route (condensed, edited & annotated edition)" (PDF). Ashland Historical Society / Saline Ford Historical Preservation Society, Nebraska. Archived from the original (PDF) on September 3, 2015. Retrieved October 19, 2015. ^ a b "Detroit, Lincoln and Denver (DLD) Highway". Iowa Department of Transportation. Retrieved October 18, 2015. ^ Mead & Hunt, Inc.; Heritage Research, Ltd. (August 2002). Jacobson, Kent A., ed. "Nebraska Historic Highway Survey" (PDF). Nebraska Department of Roads. Nebraska State Historical Society / Nebraska Department of Roads. Archived from the original (PDF) on January 16, 2016. Retrieved October 19, 2015. ^ Weingroff, Richard F. (November 18, 2015). "U.S. 6 – The Grand Army of the Republic Highway". Highway History. Federal Highway Administration. U.S. Department of Transportation. Retrieved August 18, 2016. ^ a b "Lincoln's Aviation Past". The Lincoln Air Force Base Online Museum. Retrieved October 19, 2015. ^ a b McKee, p. 116. ^ Freeman, Paul (June 4, 2016). "Union Airport, Lincoln, NE". Abandoned & Little-Known Airfields. p. Northeastern Nebraska. Retrieved August 18, 2016. ^ "Arrow Aircraft and Motor Corporation (Lincoln, Neb.)". Nebraska State Historical Society. Retrieved May 14, 2015. ^ "Nebraska Trailblazer No 18 – Aviation in Nebraska" (PDF). Nebraska State Historical Society. Retrieved May 14, 2015. ^ a b McKee, Jim (February 10, 2013). "Jim McKee: From Lincoln airport to Lincoln neighborhood". Lincoln Journal Star. Lincoln, NE. Retrieved October 16, 2015. ^ "Nebraska Trailblazer, Aviation in Nebraska" (PDF). Nebraska History.org. Nebraska State Historical Society. Retrieved May 15, 2015. ^ Freeman, Paul. "Abandoned & Little-Known Air Fields". Air Fields. Paul Freeman. Retrieved May 15, 2015. ^ Branting, Robb. "History". The Lincoln Air Force Base Online Museum. Retrieved May 15, 2015. ^ "Population of Nebraska Incorporated Places, 1930 to 1980". Nebraska Possibilities Endless. Nebraska Department of Economic Development Agency. Retrieved April 30, 2015. ^ "Fact Sheet – History of the Nebraska Air National Guard" (PDF). 155arw.ang.af.mil. Archived from the original (PDF) on January 15, 2016. Retrieved May 13, 2015. ^ McKee, Jim (March 5, 2016). "Jim McKee: West Lincoln almost an industrial success". Lincoln Journal Star. Lincoln, NE. Retrieved March 15, 2016. ^ "We're shopping for memories of Hovland-Swanson". Lincoln Journal Star. Lincoln, NE. April 13, 2015. Retrieved October 16, 2015. ^ "Gateway Mall emerged where cornfield had existed". Lincoln Journal Star. Lincoln, NE. January 6, 2012. Retrieved October 16, 2015. ^ a b McKee, pp. 125–128. ^ "Lincoln West "O" Historic Highway Project" (PDF). City of Lincoln, Nebraska. Retrieved May 16, 2015. ^ Calvan, Bobby Caina (June 18, 2014). "How Asian Immigration Is Changing America's Heartland". Asian America. NBC News. Retrieved June 4, 2015. ^ "History of New Americans Task Force". City of Lincoln, Nebraska. Retrieved June 4, 2015. ^ Kemmet, Kay (July 13, 2011). "Workshop gives insight into Karen culture". Grand Island Independent. Grand Island, NE. Retrieved December 13, 2015. ^ "Karen Society of Nebraska, Inc". Karen Society of Nebraska. Retrieved December 13, 2015. ^ Pascale, Jordan (January 14, 2011). "Thousands of Sudanese make pilgrimage to Omaha". Lincoln Journal Star. Lincoln, NE. Retrieved December 13, 2015. ^ Knapp, Fred (August 15, 2014). "Yazidis And Other Iraqis In Lincoln Offer Different Perspectives On Crisis". Lincoln, NE. NET Radio. Retrieved May 12, 2018. ^ Knapp, Fred (December 12, 2017). "Iraqis A Fast-Growing Group In Nebraska". Lincoln, NE. NET Radio. Retrieved May 12, 2018. ^ Siemaszko, Corky (November 26, 2015). "Yazidis in U.S. Grateful This Thanksgiving for Escaping ISIS". NBC News. Retrieved April 10, 2016. ^ Smith, Mitch (September 7, 2015). "Yazidis Settle in Nebraska, but Roots Run Deep in Iraq". New York Times. New York, NY. Retrieved December 13, 2015. ^ Williams, Jack (December 14, 2017). "Yazidis From Iraq Find Welcome Refuge In Nebraska". Lincoln, NE. NET Radio. Retrieved May 12, 2018. ^ Case, Emily (July 23, 2018). "New downtown Lincoln Mediterranean market offers varied selection". Lincoln Journal Star. Lincoln, NE. Retrieved July 30, 2018. ^ Reist, Margaret (June 4, 2017). "LPS strengthens trauma program to help refugee students". Lincoln Journal Star. Lincoln, NE. Retrieved June 4, 2017. ^ a b "Gateway history". Lincoln Journal Star. Lincoln, NE. April 18, 2012. Retrieved October 16, 2015. ^ Olberding, Matt (June 1, 2005). "Gateway a 'shoppingtown' no more". Lincoln Journal Star. Lincoln, NE. Retrieved October 16, 2015. ^ Olberding, Matt (September 26, 2005). "Westfield Gateway unveils new amenities, food court". Lincoln Journal Star. Lincoln, NE. Retrieved October 16, 2015. ^ Olberding, Matt (April 18, 2012). "Gateway mall sold". Lincoln Journal Star. Lincoln, NE. Retrieved October 16, 2015. ^ Olberding, Matt (November 17, 2015). "Ultra-fast Internet service is coming to Lincoln". Lincoln Journal Star. Lincoln, NE. Retrieved November 17, 2015. ^ Johnson, Riley (December 2, 2017). "In Allo's rapid digging, city and utilities encounter growing pains". Lincoln Journal Star. Lincoln, NE. Retrieved December 11, 2017. ^ Hicks, Nancy (December 7, 2015). "ALLO gets praise for bringing super fast Internet service to Lincoln". Lincoln Journal Star. Lincoln, NE. Retrieved December 18, 2015. ^ Olberding, Matt (December 18, 2015). "Windstream bringing 1 gigabit Internet to Lincoln". Lincoln Journal Star. Lincoln, NE. Retrieved December 19, 2015. ^ Olberding, Matt (April 4, 2016). "Windstream debuts 1G internet in Lincoln". Lincoln Journal Star. Lincoln, NE. Retrieved May 7, 2016. ^ Olberding, Matt (December 11, 2017). "Lincoln now a Smart Gigabit Community". Lincoln Journal Star. Lincoln, NE. Retrieved December 11, 2017. ^ Mohan, Ph.D, Nishal (November 29, 2017). "US Ignite, Inc. Announces Lincoln, Nebraska will Join Rapidly Growing Network of Smart Gigabit Communities". US Ignite. Retrieved December 12, 2017. ^ Olberding, Matt (April 25, 2018). "Charter now offering 1-gig internet in Lincoln, Southeast Nebraska". Lincoln Journal Star. Lincoln, NE. Retrieved December 13, 2018. ^ "Resource Categorization of Nebraska's Eastern Saline Wetlands" (PDF). U.S. Army Corps of Engineers, Nebraska Game U.S. Army Corps of Engineers and Parks Commission, Nebraska Department of Environmental Quality, U.S. Environmental Protection Agency and U.S. Fish and Wildlife Service. Retrieved 13 September 2016. 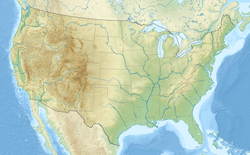 ^ "Endangered Species of the Mountain-Prairie Region – U.S. Fish and Wildlife Service". U.S. Fish and Wildlife Service, Department of the Interior. Retrieved August 2, 2014. ^ "OMB BULLETIN NO. 15-01" (PDF). Whitehouse.gov. Archived from the original (PDF) on November 10, 2016. Retrieved September 7, 2016. ^ "lincoln.ne.gov – Planning Department – Long Range Planning – Historic Preservation – Sites and Districts". City of Lincoln, Nebraska. Retrieved December 13, 2013. ^ "lincoln.ne.gov – Urban Development – Neighborhood Statistics". City of Lincoln, Nebraska. Retrieved December 13, 2013. ^ Olberding, Matt (June 17, 2016). "Biz Bits: DLA may soon stand for Downtown 'Living' Association". Lincoln Journal Star. Lincoln, NE. Retrieved June 18, 2016. ^ Olberding, Matt (May 8, 2016). "Lincoln home prices hitting once unthinkable levels". Lincoln Journal Star. Lincoln, NE. Retrieved July 8, 2017. ^ Harris, Brandi B. (July 7, 2017). "More people and needs means higher rent". Lincoln, NE. KOLN/KGIN-TV (10/11) News. Retrieved July 8, 2017. ^ "World Map of the Köppen-Geiger Climate Classification Updated Map for the United States of America". Institute for Veterinary Public Health. Retrieved August 3, 2014. ^ a b c d e f "NowData – NOAA Online Weather Data". National Weather Service Forecast Office. Retrieved March 1, 2012. ^ "What is my arborday.org Hardiness Zone?". Arbor Day Foundation. Retrieved May 3, 2015. ^ Laukaitis, Algis (January 10, 2014). "How cold is it? Lincoln ranks 7th coldest in nation". Lincoln Journal Star. Lincoln, NE. Retrieved October 17, 2015. ^ "State of the Air 2014" (PDF). American Lung Association. Retrieved April 30, 2014. ^ "Threaded Station Extremes". ThreadEx. NOAA's National Centers for Environmental Information (NCEI) and the National Weather Service (NWS), the Northeast Regional Climate Center (NRCC). Retrieved 13 September 2016. ^ "WMO Climate Normals for LINCOLN/MUNICIPAL ARPT NE 1961–1990". National Oceanic and Atmospheric Administration. Retrieved March 10, 2014. ^ "Census of Population and Housing". United States Census Bureau. Retrieved June 22, 2013. ^ "Annual Estimates of the Resident Population for Incorporated Places of 50,000 or More, Ranked by July 1, 2017 Population: April 1, 2010 to July 1, 2017 - United States -- Places of 50,000+ Population". American FactFinder. United States Census Bureau, Population Division; U.S. Department of Commerce. May 2018. Retrieved May 25, 2018. ^ "Population of Nebraska Incorporated Places". Nebraska Databook. Nebraska Department of Economic Development. March 9, 2015. Retrieved October 18, 2015. ^ Burleigh, Nina (October 10, 2010). "We've Found Peace in This Land". Parade (Parade Digital ed.). Athlon Media Group. Retrieved October 17, 2015. ^ Pascale, Jordan (June 21, 2013). "Lincoln designated Welcoming City for immigrants". Lincoln Journal Star. Lincoln, NE. Retrieved October 17, 2015. ^ "Welcoming Cities and Counties". Welcoming America. Retrieved April 11, 2014. ^ a b Schaper, David (March 2, 2015). "A Nearly Recession-Proof City Is Not Slowing Down" (Morning ed.). National Public Radio. Retrieved October 16, 2015. ^ "Revised Specifications 2014 Transit Development Plan City Of Lincoln, Nebraska – Startran Request For Proposals" (PDF). City of Lincoln, Nebraska. Retrieved August 2, 2014. ^ "Labor Area Summary, Lincoln MSA" (PDF). Nebraska INFOlink. Nebraska Department of Labor. Retrieved May 12, 2018. ^ Sparshott, Jeffrey (December 17, 2015). "In Lincoln, Neb., a View of Full Employment". Wall Street Journal. New York, NY: Dow Jones & Company, Inc. Retrieved December 18, 2015. ^ "Lincoln Career, Salary & Employment Info". College Degree Report. Archived from the original on October 8, 2010. ^ "About Us – Amigos/Kings Classic". Amigos/Kings Classic. Retrieved August 3, 2014. ^ "History - Runza". Runza.com. Retrieved January 4, 2018. ^ "Valentino's – History". Valentino's of America, Inc. Retrieved August 3, 2014. ^ Pendell, Ryan (September 30, 2015). "7 reasons why you should pay attention to Lincoln". Silicon Prairie News. Silicon Prairie News & Destination Graphic. Retrieved May 22, 2016. ^ Olberding, Matt (May 22, 2017). "Local tourism promotion focusing on craft beer". Lincoln Journal Star. Lincoln, NE. Retrieved May 22, 2017. ^ Badenhausen, Kurt (August 7, 2013). "Des Moines Tops List Of The Best Places For Business And Careers". Forbes. Forbes.com LLC. Retrieved October 17, 2015. ^ Jasthi, Sreekar (January 12, 2015). "Best Cities for Job Seekers in 2015". nerdwallet. NerdWallet, Inc. Retrieved October 17, 2015. ^ Miller, CEPF, Derek (January 23, 2019). "Cities With the Best Work-Life Balance – 2019 Edition". SmartAsset. Retrieved January 29, 2019. ^ "Comprehensive Annual Financial Report Fiscal Year Ended August 31, 2017" (PDF). Accounting Division of the Finance Department. InterLinc. City of Lincoln, Nebraska. Retrieved March 21, 2018. ^ "Nebraska National Guard – About Us". Nebraska National Guard. Retrieved May 13, 2015. ^ "The History of the Former Lincoln Air Force Base". lincolnafb.org. Retrieved August 2, 2014. ^ "Lincoln Air National Guard Base". Military Bases US. Retrieved September 6, 2016. ^ Bragg, Meghan (February 16, 2016). "Lincoln's Music Scene Continues to Grow". Lincoln, NE. KOLN/KGIN-TV (10/11) News. Retrieved February 16, 2016. ^ Wolgamott, L. Kent (July 20, 2016). "Lincoln ranked No. 35 city for music fans". On The Beat. Lincoln Journal Star. Lincoln, NE. Retrieved July 21, 2016. ^ "Music Q&A". Downtown Lincoln Association. Retrieved August 2, 2016. ^ Wolgamott, L. Kent (December 14, 2016). "On the Beat: Music scene puts Lincoln on top destinations list". Lincoln Journal Star. Lincoln, NE. Retrieved December 14, 2016. ^ a b "Pinnacle Bank Arena – Arena Info – About Us". Pinnacle Bank Arena. Retrieved August 2, 2014. ^ "About Pinewood Bowl Theater". Pinewood Bowl Theater. Archived from the original on February 12, 2016. Retrieved February 16, 2016. ^ "About the Lied Center for Performing Arts – Performing Arts Theater Events Entertainment Lincoln Nebraska (NE) – Lied Center for Performing Arts". Lied Center for Performing Arts. Retrieved August 2, 2014. ^ "Temple Building – Hixson-Lied College of Fine and Performing Arts – University of Nebraska-Lincoln". University of Nebraska–Lincoln. Retrieved August 3, 2014. ^ "Lincoln Community Playhouse – About – Mission Statement". Lincoln Community Playhouse. Archived from the original on August 8, 2014. Retrieved August 3, 2014. ^ "Mary Riepma Ross Media Arts Center". Mary Riepma Ross Media Arts Center. Retrieved August 2, 2014. ^ "Rococo Theatre – Lincoln, Nebraska". rococotheatre.com. Archived from the original on June 28, 2014. Retrieved August 2, 2014. ^ Wunder, Michael (March 11, 2014). "29 Things You Need To Know About Lincoln Before You Move There". Movoto Blog. Movoto Real Estate. Retrieved September 12, 2016. ^ "Zager and Evans, In the Year 2525". Zager Guitars. Retrieved August 3, 2014. ^ Brandon, Emily (October 17, 2011). "The 10 Best Places to Retire in 2012". Money. U.S. News & World Report. U.S. News & World Report LP. Archived from the original on October 16, 2015. Retrieved October 17, 2015. ^ "History of The Band Movement In Nebraska – Chapter 7 – Contests and Festivals". Nebraska State Bandmasters Association. Retrieved May 2, 2015. ^ "Star City Holiday Parade Suspended for 2010". Lincoln, NE. KOLN/KGIN-TV (10/11) News. August 13, 2010. Archived from the original on January 1, 2016. Retrieved October 17, 2015. ^ "Lincoln Marathon and Half-Marathon – The Course". Lincoln Track Club. Archived from the original on April 27, 2015. Retrieved May 2, 2015. ^ "Pinnacle bank Arena – Celebrate Lincoln". Pinnacle bank Arena. Retrieved May 2, 2015. ^ "lincoln.ne.gov – Mayor – Citizen Information Center – Uncle Sam Jam". City of Lincoln, Nebraska. Retrieved May 2, 2015. ^ "Boo at the Zoo". Lincoln Children's Zoo. Archived from the original on April 2, 2015. Retrieved May 2, 2015. ^ "Historic Haymarket – Events – Haymarket Events". Historic Haymarket. Retrieved May 2, 2015. ^ "Farmers Markets – UNL Food – University of Nebraska-Lincoln". UNL Food Team, University of Nebraska-Lincoln. Retrieved May 2, 2015. ^ a b "Lincoln Parks & Recreation – Sunken Gardens". Lincoln Parks & Recreation. Retrieved August 3, 2014. ^ "Ice Cream – UNL Dairy Store – University of Nebraska-Lincoln". UNL Dairy Store, University of Nebraska-Lincoln. Retrieved April 30, 2015. ^ "Visitor Information – Mueller Planetarium". University of Nebraska State Museum. Retrieved April 30, 2015. ^ "Explore the Building and Plan a Visit – Nebraska State Capitol – Lincoln, NE". capitol.nebraska.gov. Retrieved April 30, 2015. ^ "Chapter 27.56 – Capitol Environs District – Lincoln Municipal Code" (PDF). City of Lincoln, Nebraska. Retrieved May 1, 2015. ^ "Attractions in Nebraska – Omaha Activities – Activities in Lincoln". Nebraska Tourism Commission. Retrieved August 3, 2014. ^ "Museum of American Speed Home Page – Museum of American Speed". museumofamericanspeed.com. Retrieved March 24, 2016. ^ "Best in the U.S." Lonely Planet. Retrieved December 6, 2016. ^ "Huskers.com – Nebraska Athletic Official Web Site" (PDF). Nebraska Huskers. Archived from the original on May 12, 2009. Retrieved August 3, 2014. ^ "Husker Football History" (PDF). Huskers.com. Retrieved September 6, 2016. ^ "Football bowl subdivision records" (PDF). NCAA. Retrieved September 6, 2016. ^ "Nebraska Wesleyan University Prairie Wolves Athletics – Affiliations". nwusports.com. Retrieved August 2, 2014. ^ "The Official Site of the Lincoln Saltdogs – Home". saltdogs.com. Retrieved August 3, 2014. ^ "Lincoln Stars Junior Hockey Club". Lincoln Stars Hockey. Retrieved August 2, 2014. ^ "About – No Coast Derby Girls". No Coast Derby Girls. Retrieved August 2, 2014. ^ Robus, Clint (December 11, 2017). "Lincoln adding a UPSL development soccer team for spring 2018". Lincoln Journal Star. Lincoln, NE. Retrieved December 11, 2017. ^ "United Premier Soccer League Announces Central Conference Expansion with Nebraska Bugeaters FC". United Premier Soccer League. December 12, 2017. Retrieved December 12, 2017. ^ a b "Lincoln Parks & Recreation – Parks and Facilities". Lincoln Parks & Recreation. Retrieved October 27, 2018. ^ "On-Street Bicycle Facilities Plan - Maps and Documents". LincolnBikePlan. City of Lincoln, Nebraska, with Felsburg Holt & Ullevig. Retrieved October 27, 2018. ^ Stark, Laura. "Nebraska's MoPac Trail East and West". Rails to trails conservancy. Retrieved September 6, 2016. ^ "Lincoln Parks & Recreation – Parks – Antelope". Lincoln Parks & Recreation. Retrieved August 3, 2014. ^ "Bicentennial Cascade Fountain – Lincoln Public Art Inventory". Lincoln Arts Council. Archived from the original on July 23, 2015. Retrieved August 3, 2014. ^ "Lincoln Parks & Recreation – Hamann Rose Garden". Lincoln Parks & Recreation. Retrieved November 29, 2013. ^ "Children's Zoo, Camps – Lincoln NE". Lincoln Children's Zoo. Retrieved August 3, 2014. ^ "Lincoln Parks & Recreation". Lincoln Parks & Recreation. Retrieved August 3, 2014. ^ "Lincoln Parks & Recreation – Parks – Holmes". Lincoln Parks & Recreation. Retrieved August 3, 2014. ^ "Lincoln Parks & Recreation – Parks – Pioneers & Golf Course". Lincoln Parks & Recreation. Retrieved August 3, 2014. ^ "Lincoln Parks & Recreation – Pioneers Park Nature Center". Lincoln Parks & Recreation. Retrieved August 3, 2014. ^ a b "Lincoln Parks & Recreation – Parks – Alphabetical List". Lincoln Parks & Recreation. Retrieved August 3, 2014. ^ "Lincoln Parks & Recreation – Parks – Iron Horse". Lincoln Parks & Recreation. Retrieved August 4, 2014. ^ Hicks, Nancy (June 18, 2014). "Hicks: Civic Plaza at 13th and P to get new name". Lincoln Journal Star. Lincoln, NE. Retrieved October 17, 2015. ^ "Nine Mile Prairie – School of Natural Resources – University of Nebraska-Lincoln". School of Natural Resources, UNL. Retrieved February 3, 2014. ^ "Interlinc: Antelope Valley – Union Plaza". City of Lincoln, Nebraska. Retrieved December 10, 2013. ^ "Lincoln Parks & Recreation – Parks – Wilderness". Lincoln Parks & Recreation. Retrieved August 3, 2014. ^ "InterLinc – City Council Members". City of Lincoln, Nebraska. Retrieved August 2, 2014. ^ "Lincoln Public Schools 2013–2014 High School Attendance Areas" (PDF). Lincoln Public Schools, Nebraska. Retrieved August 2, 2014. ^ Andersen, Mark (October 25, 2011). "New oversight for Lincoln-area ambulance service". Lincoln Journal Star. Lincoln, NE. Retrieved October 17, 2015. ^ "Lancaster County Rural Fire Districts" (PDF). Lincoln/Lancaster County Planning Department, Nebraska. Retrieved March 5, 2015. ^ a b "Hours, locations, and phone numbers". Lincoln City Libraries, Nebraska. Retrieved August 2, 2014. ^ "High Schools / Specialty Programs". About Lincoln Public Schools. Lincoln Public Schools, Nebraska. Retrieved February 13, 2018. ^ "Lincoln Air Force JROTC". Lincoln Public Schools Website. Lincoln Public Schools, Nebraska. Retrieved February 13, 2018. ^ a b "InterLinc – Education – Parochial & Private Schools". City of Lincoln, Nebraska. Retrieved August 2, 2014. ^ "ELL – English Language Learner Program". Federal Programs. Lincoln Public Schools, Nebraska. Retrieved February 9, 2018. ^ Reist, Margaret (January 2, 2017). "LPS superintendent has been through the uncertainty and fear before". Lincoln Journal Star. Lincoln, NE. Retrieved January 3, 2017. ^ "2017–18 Annual Statistical Handbook, Student Section" (PDF). Lincoln Public Schools, Lincoln, NE. http://www.lps.org/post/index.cfm?collection=77. Retrieved February 9, 2018. ^ "2010–11 Annual Statistical Handbook Student Section" (PDF). Lincoln Public Schools, Lincoln, NE. https://docushare.lps.org/docushare/dsweb/View/Collection-168812. Retrieved November 21, 2016. ^ Reist, Margaret (July 18, 2015). "Unprecedented increase in ELL students prompts proposal to spend $1.2 million". Lincoln Journal Star. Lincoln, NE. Retrieved December 11, 2015. ^ "University of Nebraska–Lincoln Factbook 2017–2018" (PDF). Lincoln, NE: University of Nebraska-Lincoln. Retrieved January 27, 2018. ^ "Nebraska Wesleyan University Student Life". Education. U.S. News & World Report. U.S. News & World Report LP. Retrieved October 17, 2015. ^ "America's Best Colleges". Op/Ed. Forbes. Forbes.com LLC. August 5, 2009. Retrieved October 17, 2015. ^ "About NWU – Nebraska Wesleyan University". Nebraska Wesleyan University. Retrieved August 3, 2014. ^ "Learn About Union – Union College". Union College. Retrieved June 13, 2015. ^ "Welcome to Union College – Union College". Union College. Retrieved August 3, 2014. ^ "About the College Lincoln, Nebraska (NE) – Bryan Health". Bryan Health. Retrieved August 3, 2014. ^ "Lincoln – Bellevue University". Bellevue University. Archived from the original on May 6, 2015. Retrieved August 3, 2014. ^ "Concordia University Nebraska College of Graduate Studies" (PDF). Concordia University, Nebraska. Retrieved August 3, 2014. ^ "Campus Map – Lincoln". Doane University. Retrieved May 30, 2016. ^ "Kaplan in Lincoln is now Purdue University Global". Lincoln Journal Star. Lincoln, NE. April 6, 2018. Retrieved April 13, 2018. ^ "College of Hair Design – About Us". College of Hair Design. Retrieved August 3, 2014. ^ "About Us – Joseph's College – Cosmetology". Joseph's College. Retrieved August 3, 2014. ^ "Southeast Community College SCC At-a-Glance". Southeast Community College. Retrieved August 3, 2014. ^ "Southeast Community College Area Overview". Education. U.S. News & World Report. U.S. News & World Report LP. Retrieved October 17, 2015. ^ a b "TV Query Results – Video Division (FCC) USA". Federal Communications Commission. Retrieved August 2, 2014. ^ "Channel 8 KLKN-TV 8.1 and 8.2 Program Schedule - News; Weather and Sports for Lincoln, NE; KLKNTV.com". WorldNow & KLKN-TV. Retrieved September 12, 2014. ^ "KOLN/KGIN Program Guide". Gray Digital Media. Archived from the original on August 27, 2014. Retrieved September 12, 2014. ^ "Television Network - netnebraska.org". Nebraska Educational Telecommunications. Retrieved June 6, 2017. ^ "NET - netnebraska.org". Nebraska Educational Telecommunications. Retrieved August 3, 2014. ^ Korbelik, Jeff (June 12, 2014). "KSNB-TV to become NBC affiliate". Ground Zero. Lincoln Journal Star. Lincoln, NE. Retrieved October 17, 2015. ^ "FM Query Results – Audio Division (FCC) USA". Federal Communications Commission. Retrieved October 18, 2018. ^ "AM Query Results – Audio Division (FCC) USA". Federal Communications Commission. Retrieved April 9, 2015. ^ "About the Lincoln Journal Star – Services". journalstar.com. Retrieved August 2, 2014. ^ Moore, Jessica (April 19, 2017). "The Daily Nebraskan to replace biweekly newspaper with monthly magazine". Daily Nebraskan. University of Nebraska Lincoln. Retrieved January 27, 2018. ^ "The DailyER - About". DailyER. Retrieved January 27, 2018. ^ "English Department – Nebraska Wesleyan University". Nebraska Wesleyan University. Retrieved March 5, 2015. ^ "About Union College". The Clocktower. Union College Associated Student Body. Retrieved October 17, 2015. ^ "FHWA Route Log and Finder List: Table 1 – Interstate System – Design – FHWA". Federal Highway Administration. Retrieved December 3, 2013. ^ "Nebraska Department of Roads – Lincoln South Beltway – As of December 2013" (PDF). Nebraska Department of Roads. Archived from the original (PDF) on May 7, 2015. Retrieved March 4, 2015. ^ "General Highway Map, Lancaster County, Nebraska" (PDF). Nebraska Department of Roads. Retrieved November 27, 2013. ^ "StarTran Bus Service Fact Sheet". InterLinc. City of Lincoln, Nebraska. Retrieved October 18, 2018. ^ "Pilot & Charter Services – Lincoln Airport". The Lincoln Airport Authority, Nebraska. Retrieved November 27, 2013. ^ "Space Shuttle Emergency Landing Sites". Globalsecurity.org. Retrieved May 3, 2015. ^ "AirportIQ 5010 – Runway Information – 18/36". GCR Inc. Retrieved April 6, 2015. ^ "Schedules and Maps: Black Hills Stage Lines". blackhillsstagelines.com. Archived from the original on November 24, 2013. Retrieved November 27, 2013. ^ Olberding, Matt (February 21, 2017). "Megabus bringing service to Lincoln on March 1". Lincoln Journal Star. Lincoln, NE. Retrieved March 2, 2017. ^ "Lincoln, NE Train Station (LNK) | Amtrak". www.amtrak.com. Retrieved September 7, 2016. ^ Olberding, Matt (January 20, 2017). "Amtrak wants to move 21 employees from Denver to Lincoln". Lincoln Journal Star. Lincoln, NE. Retrieved February 3, 2017. ^ "OL&B Railway – Home". NEBCO. Retrieved November 27, 2013. ^ "Omaha Public Power District (Nebraska)" (PDF). Omaha Public Power District. Retrieved March 4, 2014. ^ "lincoln.ne.gov – RTSD – Background". Lincoln.ne.gov. Retrieved November 27, 2013. ^ Salter, Peter (April 12, 2018). "Rolling start: What you need to know about Lincoln's rental bikes". Lincoln Journal Star. Lincoln, NE. Retrieved April 13, 2018. ^ "Mission and Background". Lincoln Electric System. Retrieved March 3, 2015. ^ "National Electric Rate Study" (PDF). Lincoln Electric System. Retrieved June 21, 2017. ^ "Key facts" (PDF). Lincoln Electric System. November 2016. Retrieved June 21, 2017. ^ Bergin, Nicholas (September 16, 2016). "LES dedicates solar park". Lincoln Journal Star. Lincoln, NE. Retrieved February 3, 2017. ^ Bergin, Nicholas (August 19, 2016). "LES plans to dedicate solar park". Lincoln Journal Star. Lincoln, NE. Retrieved February 3, 2017. ^ Laukaitis, Algis (August 22, 2012). "LES to keep two wind turbines north of I-80". Lincoln Journal Star. Lincoln, NE. Retrieved October 17, 2015. ^ "Lincoln Water System". City of Lincoln, Nebraska. Retrieved March 3, 2015. ^ Zimmer, Edward F. "National Register of Historic Places Nomination Form — Municipal Lighting and Waterworks Plant". National Park Service Gallery. National Park Service. Retrieved 13 September 2016. ^ Hovey, Art (August 4, 2012). "Dry Platte River threatens Lincoln's water supply". Lincoln Journal Star. Lincoln, NE. Retrieved October 17, 2015. ^ "Lincoln Wastewater System". City of Lincoln, Nebraska. Retrieved March 3, 2015. ^ Olberding, Matt (July 13, 2008). "Black Hills will bring more jobs to Lincoln, state". Lincoln Journal Star. Lincoln, NE. Retrieved October 17, 2015. ^ Fischer, Lawrence M. (December 19, 1998). "Alltel Buying Top Phone Company in Nebraska for $1.5 Billion". Business Day. New York Times. New York, NY. Retrieved October 17, 2015. ^ "Company History". Windstream Communications. Retrieved March 4, 2015. ^ "Broadband High-Speed Internet Provider in Lincoln, NE 68502". Windstream Communications. Retrieved March 4, 2015. ^ Olberding, Matt (November 15, 2016). "TWC becomes Charter Spectrum in Lincoln". Lincoln Journal Star. Lincoln, NE. Retrieved February 3, 2017. ^ Hicks, Nancy (December 16, 2014). "Time Warner cries foul over city's Windstream proposal". Lincoln Journal Star. Lincoln, NE. Retrieved October 17, 2015. ^ "Unlimited Calling — Time Warner Cable". Time Warner Cable Enterprises LLC. Retrieved March 4, 2015. ^ Hicks, Nancy (November 19, 2015). "Cable board likes service promises in ALLO contracts". Lincoln Journal Star. Lincoln, NE. Retrieved December 7, 2015. ^ Hicks, Nancy (December 7, 2015). "ALLO gets praise for bringing super fast Internet service to Lincoln". Lincoln Journal Star. Lincoln, NE. Retrieved December 7, 2015. ^ "About Us". Lincoln Surgical Hospital. The Nunneley Group, LLC. Retrieved May 7, 2016. ^ "About Us". Nebraska Heart Institute. Retrieved May 7, 2016. ^ "Lincoln". VA Nebraska-Western Iowa Health Care System. U.S. Department of Veterans Affairs. Retrieved May 7, 2016. ^ "Lincoln, Nebraska Urgent Care and Walk-in Clinics". UrgentCareLocations.com. Retrieved September 8, 2016. Hayes, A.B. ; Cox, Sam D. (1889). 1889 History of the City of Lincoln, Nebraska. State Journal Company. McKee, James L. (1984). Lincoln: The Prairie Capital. Windsor Publications. ISBN 0897811097. McKee, James L. (2007). Visions of Lincoln; Nebraska's Capital City in the Present, Past and Future. TankWorks, LLC. ISBN 097987940X.